Enough has been said about the 2017 Blue Jays having needed regular appearances from guys like Darwin Barney and Ryan Goins, so I won’t get into it here. We know that Aledmys Diaz and Yangervis Solarte should, at worst, provide a level of offensive production better than we got from last year. So let’s look at the outfield instead. The Blue Jays welcomed back #TransactionFriday last week by trading Dominic Leone as well as fifth-ranked prospect Conner Greene to St. Louis in exchange for Randal Grichuk. On the surface, this looks like a confusing move, as it gives a crowded outfield full of third-best outfielders even another one. The gut reaction to the trade is something like wanting a Mercedes but then getting another Honda Civic with a tire missing. Sure, two years ago that would have been great, but why do I need this now, where am I going to put it, and why did I have to give you my kitchen for it? Grichuk is notorious for a sky-high strikeout rate and the inability to walk. In 1998, this wouldn’t have been seen as the worst move. In the league today, you sort of need somebody with an OBP over .300 if they’re going to start a large chunk of games, especially with low-walk guys like Teoscar Hernandez and Kevin Pillar in the mix for starting jobs. We know about the bad; Randal Grichuk strikes out way too much. But it gets worse: of all players with at least 1000 plate appearances from the 2015-2017 seasons, Grichuk’s 0.20 BB/K rate ranks third lowest out of 87. Even knowing this, the Blue Jays still have the opportunity to “raise the floor” even more, while saving themselves a little bit of money. Now, I’m not going to don a top hat and try to sell your smalltown a monorail named Randal Grichuk, but the trade actually makes sense if the Blue Jays see him as an upgrade from Kevin Pillar. At this point, Pillar is a known commodity in Toronto. You aren’t getting much from him other than his defense, which has been elite in recent memory. His alarming lack of power and plate discipline were often forgiven due to that elite play at a premium defensive position. The problem: Pillar wasn’t all that great patrolling CF in 2017. Pillar’s UZR/150 playing CF in 2015 and 2016 has been up to par with what you’d expect. 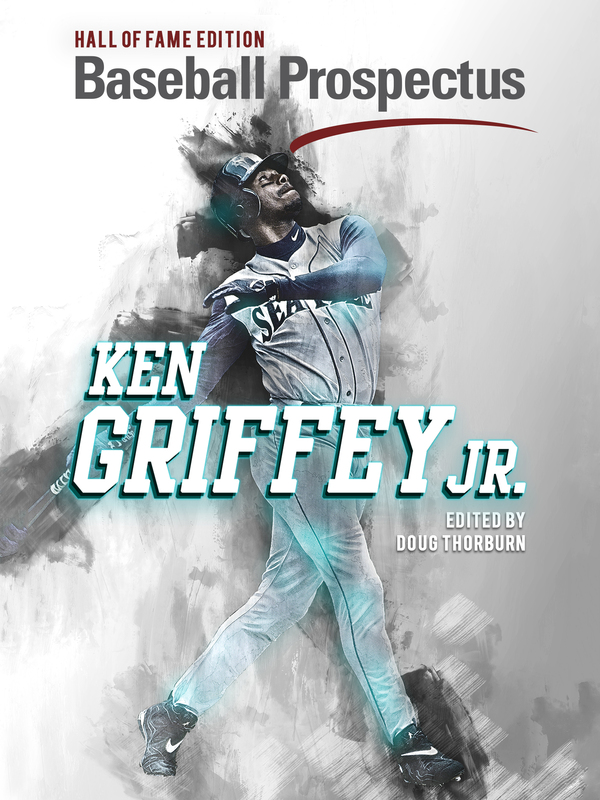 He ranked third among all qualified center fielders in 2015 behind Kevin Kiermaier and Billy Hamilton with 16. In 2016, he finished first among all qualified CFs at 26.3. The human vacuum Kiermaier was hurt for a large chunk of the season, but would have still finished behind Pillar at 24.2. Pillar’s defense went south in 2017, registering just a 7.4 UZR/150, which is still really good, but not at the level we’re accustomed to seeing. I use UZR/150 for comparisons sake. Grichuk has logged about a third of the innings Pillar has at centre field, but has still played respectably in his limited amount of time there. In fact, Grichuk has been sneaky good defensively since the 2015 season. I should mention the fact that the huge dip you see in 2016 is when Grichuk spent most of his time at CF in St. Louis and was slightly below average. In 2017, he only logged 29 innings in centre, which is why I also included his total UZR/150 at all positions over the three years. Of course, we now have other ways of measuring defense beyond UZR (or DRS). Enter Statcast. There’s more to catching a ball than just “see ball, get ball.” Kevin Pillar did make his regular highlight reel catches during 2017, but a lot of it was due to reading the ball wrong and recovering well or running a bit slower. Grichuk actually did better than Pillar when looking at catch probability data. Kevin Pillar didn’t make a single 5-Star catch in 2017, Grichuk made 1. Grichuk also had the advantage in every single category, with Pillar simply having had more opportunities due to playing time. All of this shows that in 2017, Randal Grichuk was at least comparable to elite-glove only Kevin Pillar defensively. We haven’t even talked about what Grichuk can do with the bat. Now, again, I’m not trying to sell you on Grichuk being an elite all-around player. I’m just trying to prove that he’s an upgrade over Kevin Pillar. Like Pillar, Grichuk loves to swing the bat; both players ranked top-20 in swing% among all outfielders with at least 400 plate appearances last year. Unlike Pillar, Grichuk doesn’t always make contact. Pillar finished 11th among that group in contact rate at 84.8% while Grichuk was 58th, with 73.4%. But when comparing two hitters that don’t walk, what’s the point of mentioning contact if it isn’t good contact? The rare times that Grichuk made contact, good things usually happened. Grichuk’s average exit velocity last year was 89 MPH, good for 78th among all players with 100 batted ball events. Pillar was well below that at 85.5 MPH, which ranked 285th. 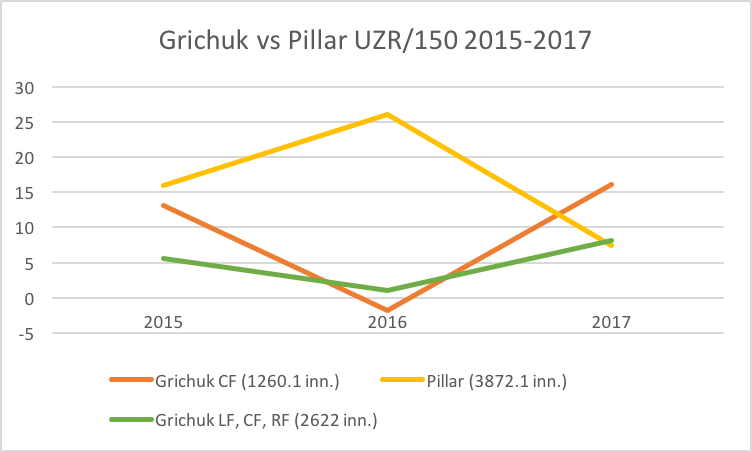 Since the 2015 season, Grichuk has an isolated slugging percentage of .247, which is almost double that of Pillar’s .127. In recent years, the ability to barrel the baseball has been one of the main things people mention when talking about making good contact. I’d guess part of the reason why the Blue Jays acquired Grichuk was his barreling ability. He was near the top of the league in both barrels per batted ball event and barrels per plate appearance. These numbers jump out even further when you compare them to how Pillar did. 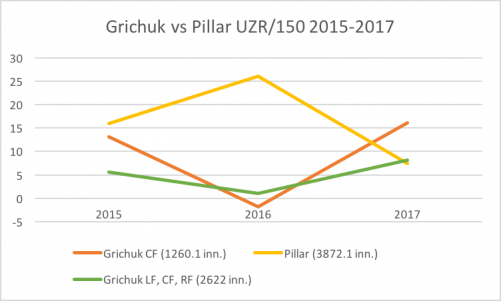 Given that Grichuk is Pillar’s superior as a hitter and at least similar as a defender, it would make sense for Toronto to start exploring trades for their popular centre fielder. Pillar has his limitations, but just $3.25M for 2018 and with two more years of arbitration control available, he should still be plenty attractive to other teams. A move there could help the club upgrade in a number of ways, depending on the return, but it would also free up room for the team to add yet another, better, outfielder and actually field a strong unit out there. This is a club whose outfield was by all measures one of the three worst in baseball last year. 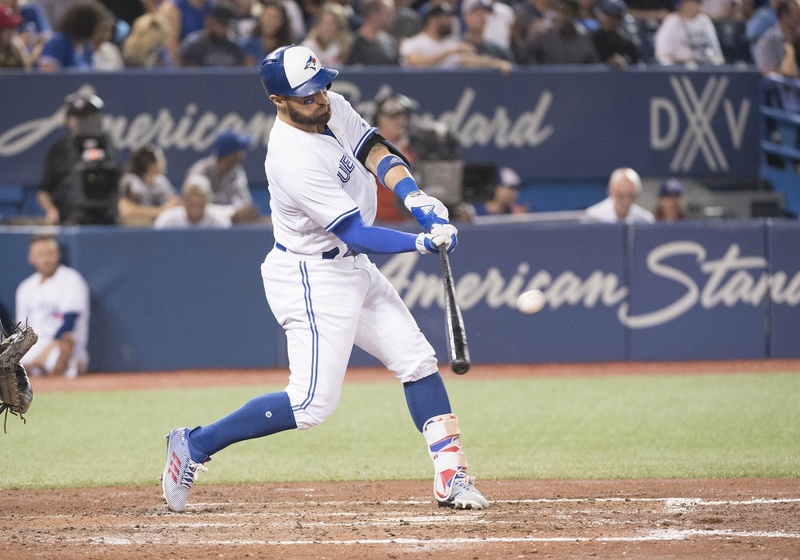 Some of that will be mitigated by the loss of legend Jose Bautista and his poor season, but it can be further helped by jettisoning, and then upgrading, the poor-hitting Pillar. With Anthony Alford starting to knock down the door in the minors, the Jays also have cover should Grichuk get hurt. They also have Granderson for a short-term fill-in if necessary and even potentially a finally-healthy Dalton Pompey at some point. So really, there are very few risks to trading Pillar, but oh-so-much upside. It wouldn’t be popular, but every marginal win counts and this team needs a lot of them. Richard is a student in Toronto trying to wade into the uncertain world that's journalism. He is a loyal follower of all things Toronto sports. When he's not watching baseball, he's probably yelling about it on the internet. Although Grichuk does resemble in profile at least, another Cardinal Jays landed a few yrs back. Colby Rasmus, with maybe slightly better defense. If Jays are serious about not going all youth all in this year, then Pillar needs be dealt, and land a much more offensive OFer. My goodness our offense is mediocre. And our 2nd best hitter for me is Travis. How’s he progressing? Hearing he is “about to start running”…love the guy, that’s not very promising. Of course the catch with every “we should trade” discussion (pun intended), is what kind of return could we get. At this point tho, I don’t think anyone is expecting more than a middling middle reliever. There aren’t many teams looking for a can’t-hit CFer. He might fit on a NL team as a 4th OF/late-inning defensive replacement … on the other hand, he could fill that role here … all Gibby really has to do is give the starting CF job to Grichuk. Are you comparing statcast 2017 data of Pillar in 2017 vs Grichuk in a corner OF spot? That’s pretty misleading. I’d expect Grichuk to have better catches playing an easier position. That doesn’t suggest he’s a better defender than Pillar. The only season we have a meaningful sample of Grichuk in CF is 2016, where he was average to slightly below average in CF. So I think if you’re calling him a comparable defender to Pillar, that you’re reading way too much into a small sample size. Pillar is quite clearly the better defender, and in the 3 years both have been playing, has the better overall numbers. Grichuk is a superior hitter, though I would think he’s closer to league average than above it given his one plus year was thanks to BABIP. The thing is, I don’t get why you’d want to trade Pillar if you’re aiming to compete. He’s likely a 2-3 WAR player, and replacing him means putting a guy who is likely a lesser player in a corner OF spot (given you’d move Grichuk to CF). I think there are a ton of flaws in your article, and ironically your ending comment about “every marginal win counts” is actually an argument in favour of keeping Pillar over trading him. The Jays aren’t at a point where Alford/Pompey etc should be counted on to be starters and produce at the level Pillar is. And we haven’t even talked about the return, or who you’d replace him with, which is likely not enough to make a trade worthwhile, and not a player who’d likely give you a similar floor/upside to 2018 Pillar. You make a decent point about comparing CF Statcast numbers with those for corner positions. 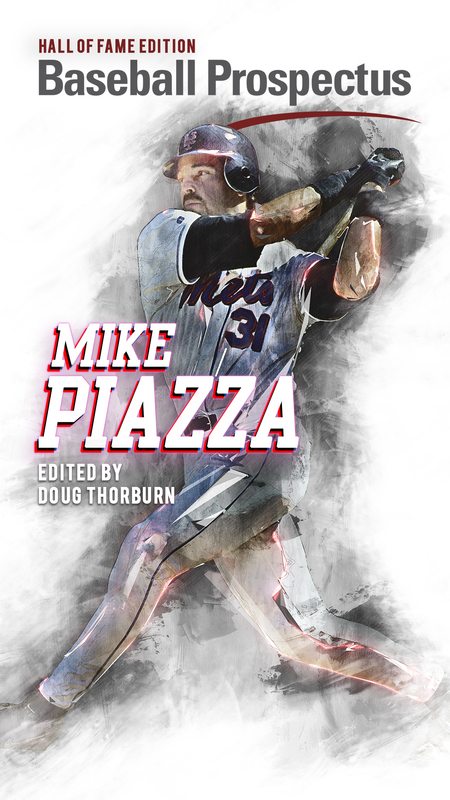 But a main point at the end of the day is that we’re going to have two outfielders who have horrific approaches to their at-bats: Sportnet’s Baseball Central Co-Host Kevin Barker describes that approach this way last year: “stepping up to the plate and, no matter what the situation, taking the three biggest hacks. That’s frustrating to watch, Jeff”. I’d go farther and say the team ought to trade the entire September outfield. Package Pillar + Morales (+sweetener) to, say, the White Sox, for PTBNL. Trade Pearce and Zeke to whoever for PTBNLs. Flip Teoscar for a pitcher. Then Sign Lorenzo Cain to play CF and Chris Young to be the short-side platoon in LF. OK, well I guess that plan is bunk. Give the full time job in rf to Hernandez who is proving to be one of the most condistant and talented New comers in the league. Rookie of year contender if allowed to play.